She began scribbling her stories in the pages of a notebook several years ago, and still can’t resist putting pen to real paper. What ifs are turned into heartfelt stories of love where there will always be a HEA. 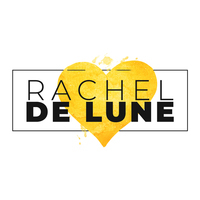 To ask Rachel De Lune questions, please sign up. I wanted to take a few weeks to reflect on the last month because it’s been immense and the main reason? I flew over to Dublin to do my first ever signing as an author at Claddagh Author Event, 2016!!! I loved that the darkness came back again in this novel. Was a bit lacking in the previous. At times i felt naughty for liking it, but it really does help to develop their complicated relationship. "I absolutely loved the previous two books in this series and was eager to see where Ms Hart and Ms De Lune would take this third book and I have to say I was not disappointed at all. Rachel Lune voted for Lover at Last (Black Dagger Brotherhood, #11) as Best of the Best in the Opening Round of the 2018 Goodreads Choice Awards. We’d love your help. Let us know what’s wrong with this preview of Spanking the Senator by Elizabeth SaFleur.